Touching sky at 268 meters, Kolkata’s 42, a residential skyscraper is the tallest building in India leaving behind Mumbai’s The Imperial. The building has 65 floors and hovers over the luscious green Maidhan and Hooghly River in the city. Not only this but the building has also altered the skyline of Kolkata. “The structure is complete. Interior work is underway. Deya — the multi-level hanging club spread across 55,000 sq — is ready and scaffolding is being dismantled. The project should be complete in six weeks and the first resident is expected to move in around August.” Shroff added. 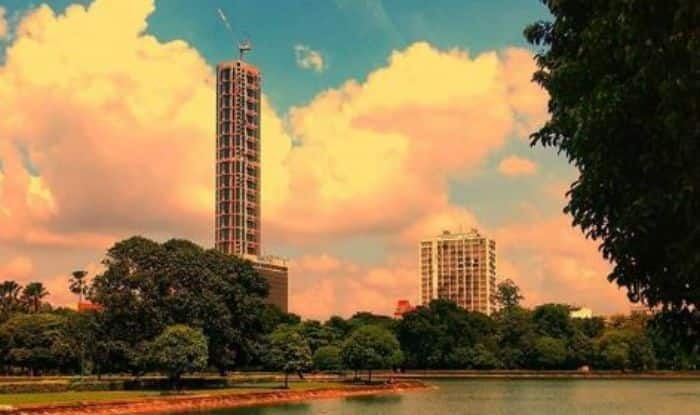 In Kolkata, The 42 has now surpassed the Urbana which stand tall at 161 meters and Forum Atmosphere and Westin which stands tall approximately 150 meters. However, the developers of The 42 faced a civil suit over the construction of additional floors and light and air rights filed by ITC Limited in Calcutta High Court. The civil suit also caused the delay of the construction. Now, the Kolkata Municipal Corporation has allowed the construction of the floors due to an amendment to its building rules in 2018. The Airport Authority of India had also imposed restriction of 198 meters of the construction which would have resulted in the demolition of the top 12 floors. Later, AAI revised the height limits.